Home / smartphones / Signs Of Malware-Infected Smartphones. The increased use of Smartphone has left us vulnerable to malware which has no other mission but to gain access to personal data for profit. As the OS developers are working hard to secure it, also the cyber crooks are having sleepless night trying to break into it which is of little surprise considering that Android is an open source software and dominate the OS market with a figure around 80% share of the market. That is not to rule out that IOS devices aren’t prone to cyber attack, but for the sake of this post the Android malware will be the focus point. The Android malware (malicious software) which presents itself in various form doesn’t knock before gaining access into the system, so what are the telling signs that a device is affected is possibly affected by malware. Below we have highlighted the signs you should check out in your device for malware. Before you go into a rage with your network providers over excessive data consumption, you need to check within to know the cause of it. 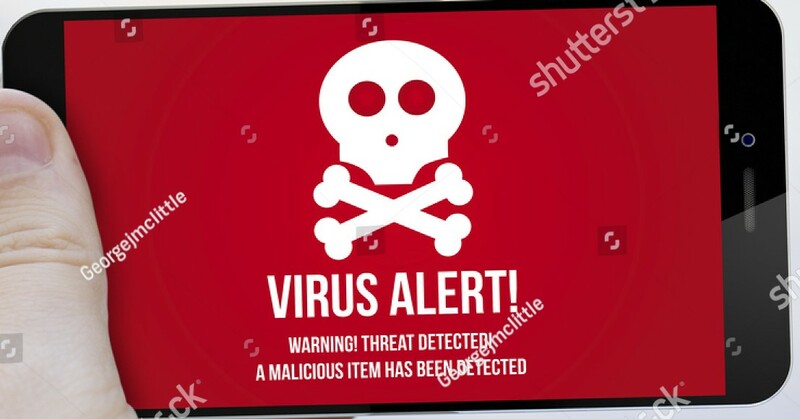 The malware often needs the internet connection to communicate with its developers for uploading or downloading files which means you are simply paying to get the malware to damage your device. Whenever you notice an unusual increase in your data consumption that can’t be accounted for, set up a data usage meter and if the data consumed by the legitimate apps is less than the total amount recorded by the phone then you can be sure malware is around the corner. You may notice an increase in the rate at which ads pop-up on your screen during usage, that is a dubious mean by which attackers use the malware to gain access to devices. According to Bitdefender, “Malware can give itself away because batteries drain quicker than usual with such e-threat installed” but it is difficult to notice especially when you have experienced some issues with your battery. The malware needs to keep running in the background thereby doubling the work rate of your battery. To know your battery performance, check your manufacturer standard time for your phone and check if your battery performance is up to it. You cant put the blame of a lagging performance on malware especially when the specifications of your phone are mediocre since multitasking will be quite difficult on such phones, that is why it is recommended you get a smartphone of at least 2GB RAM for maximum performance but that does not rule out the fact that a malware-infected device of even 4GB RAM will not lag in performance. To check performance, monitor the usage of device RAM in the settings menu-Apps-Running, it will display the amount of space consumed by each app and if you notice anything fishy, then something is probably going on behind the scenes. Do you notice apps on your device that you are certain you didn’t install? Android Malware has a habit of getting on smartphones even when you don’t agree to the installation, thereby taking up a large amount of space that could have been used for apps you actually want to use. It is imperative you download apps from the play store to keep malware off, read the reviews and ensure they are rated well before downloading. So there you have it, signs to watch out for on your device for malware appearance. Although preventing malware could prove to be a near impossible task. It is however preventable by following the steps below. .Avoid installing apps not vetted by Google on the play store. Even at that, Google Play isn’t perfect -no one is- of recent, it was discovered that there was a fake WhatsApp listing in the Play Store and had over one million downloads. On the off chance that you feel something is wrong with an app either with the reviews or publisher’s identity, then something is probably wrong with it. You should tread carefully to avoid falling victim. .Try as much as possible to avoid installing apps from third-party. By default, Android doesn’t allow third-party apps and for your safety, you should leave the installing of an app from unknown source disabled. To be clear your phone isn’t totally safe with this option but it is the most recommended and the first line of protection against malware. .Take your time to read the permissions the app requires. Never grant permission to an app if you feel the permission needed are not in line with the purpose of the app. Sensitive data can be stolen when wrong permission is granted. Bottomline: Only install an anti-virus app from a trusted publisher, moreover most of the antivirus app drains device performance. There is a reason why developers send you notification about an update possibly due to detection of bug, you should as much as possible to update your device as soon as you get the notification. what more can we say, remember to share this article with your friends and you can as well tell us your experience with malware in the comment section.